Green Kias at Frankfurt show | What Car? 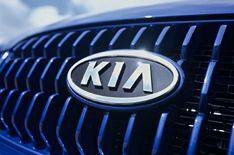 Kia will display a range of new models and green technology at the 2009 Frankfurt motor show later this month. There'll be plenty of new cars, in the shape of the all-new Venga MPV and Sorento SUV, and the face-lifted Cee'd. The Cee'd and Venga will both feature the company's Intelligent Stop & Go (ISG) engine stop-start system. Kia will also premiere its Eco Dynamics brand of environmentally friendly cars. The 'Eco Dynamics' zone at the Frankfurt event will showcase three new models the Forte LPI hybrid, Cee'd hybrid and Sorento hybrid. All are equipped with ISG, a power-saving alternator management system, a gearshift indicator and special low-friction Michelin tyres. The Forte LPI hybrid has a 1.6-litre engine that runs on liquid petroleum gas and is mated to a 20bhp electric motor, with a continually variable transmission (CVT) gearbox and ISG. It produces 99g/km of CO2 and can achieve 50.5mpg. There are no plans to sell the Forte LPI hybrid in Europe, but Kia has confirmed that it is planning a 'real world' research programme in 2010 and will run a test fleet of 36 of the cars across Europe. The fleet will be used to assess the feasibility of large-scale commercialisation of LPI hybrids for the future. Alongside the Forte will be hybrid versions of the C'eed and Sorento. The C'eed has the same powertrain as the Forte, but runs on petrol, while the Sorento has a 1.6-litre twin-turbo diesel engine combined with an electric motor. It also has a CVT gearbox plus CO2 emissions of 119g/km.